開発: Anhui Huami Information Technology Co., Ltd.
Amazfit Pace is a GPS-enabled smartwatch with 5 days of average battery life. The onboard music storage allows for phone-free running while tracking your essential metrics like pace, cadence, distance, time, heart rate and more. You'll also be able to receive notifications for incoming calls, messages, emails and other apps via the always-on display. 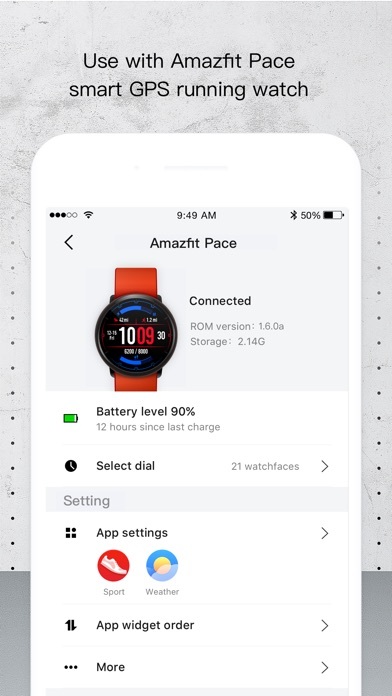 This app primarily functions as a command center for your Amazfit smartwatch like account creation (sign up and login), Bluetooth pairing, smart notification settings, watch face settings, data sync, watch application settings and more. 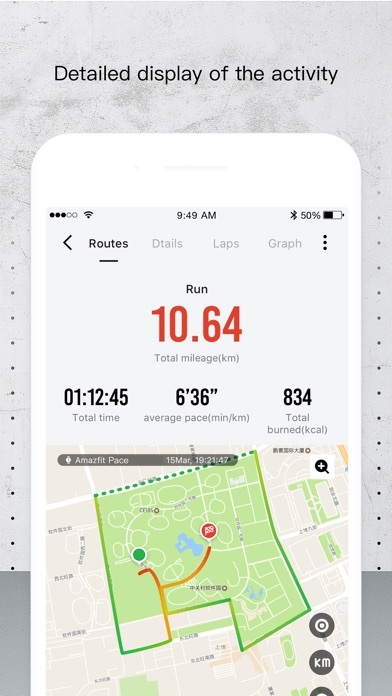 All running data can be synced with Strava. REQUIRES AMAZFIT PACE WATCH UNIT. 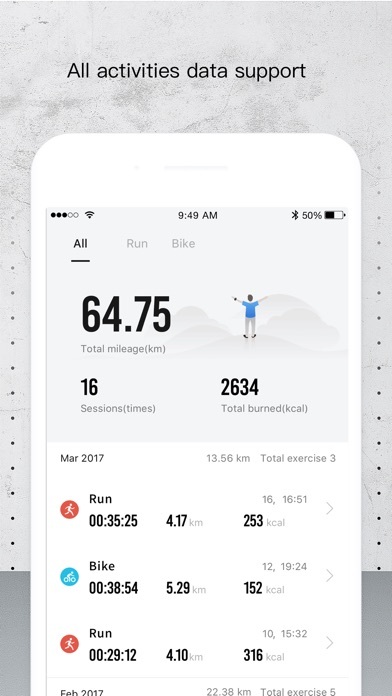 · Run Tracking: Track your runs and capture distance, time, pace, heart rate, calories, speed, cadence, maximum/average moving pace, max/avg moving speed, max/avg cadence, altitude, elevation gain, elevation loss and min/max altitude. · Phone-Free Music: Connect wirelessly to Bluetooth earbuds and enjoy music and media with the internal storage for unencumbered phone-free running. 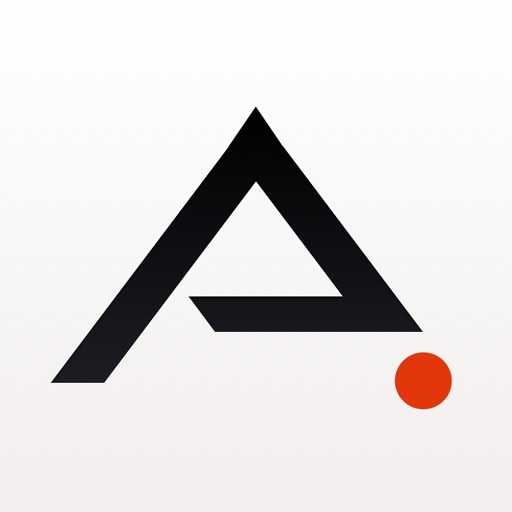 · GPS: Track your route and distance with built-in GPS. · Notifications: Receive notifications for incoming calls, messages, emails and other apps. · Heart Rate: Automatic heart rate monitoring and continuous heart rate tracking during workouts. 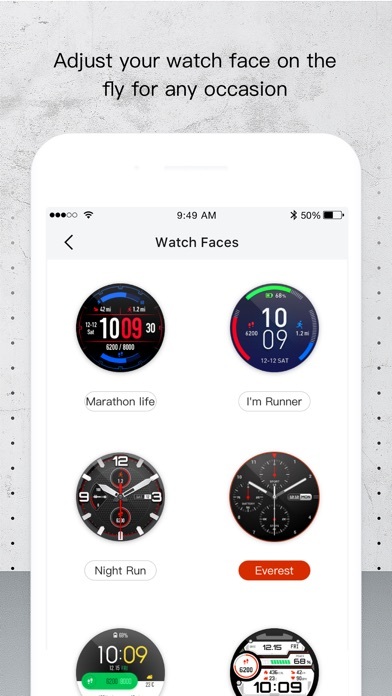 The watch features smart notifications and vibration alerts for incoming calls, messages, emails and direct access to weather forecast, stop watch, compass, alarms, music controls, sleep data, and more. 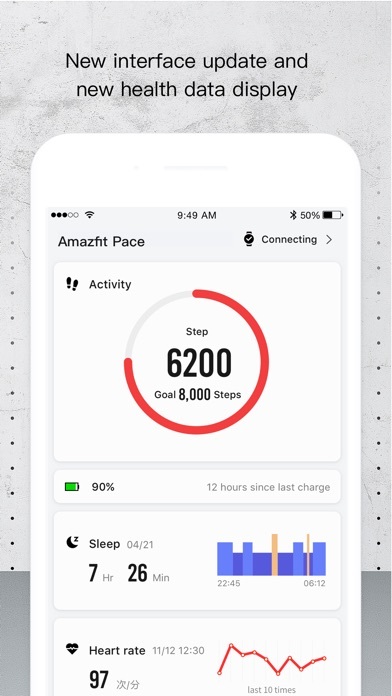 Pace automatically tracks your daily steps, distance, calories and sleep. The ceramic bezel is durable and resistant to scratching. The always-on display is easily readable even under bright sunlight. The watch is IP67 certified, which means resistant to dust, rain, splashing, and accidental submersion. The watch allows to connect wirelessly to Bluetooth earbuds to enjoy music and media with the internal storage for unencumbered phone-free running.